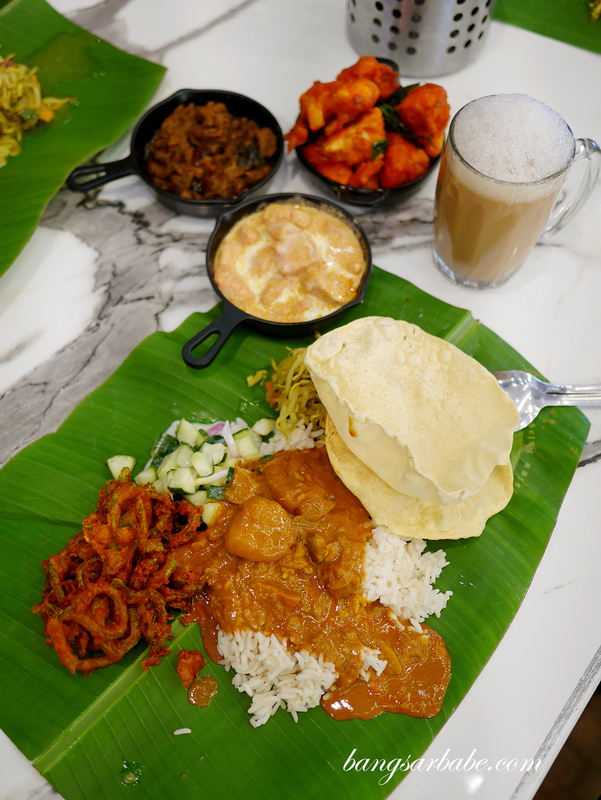 If you’re visiting Malaysia, a meal of banana leaf rice is a must if you want to experience as much Malaysian cuisine as possible. This is one of my favourite things to eat, evident from the numerous IG stories I’ve posted of it. 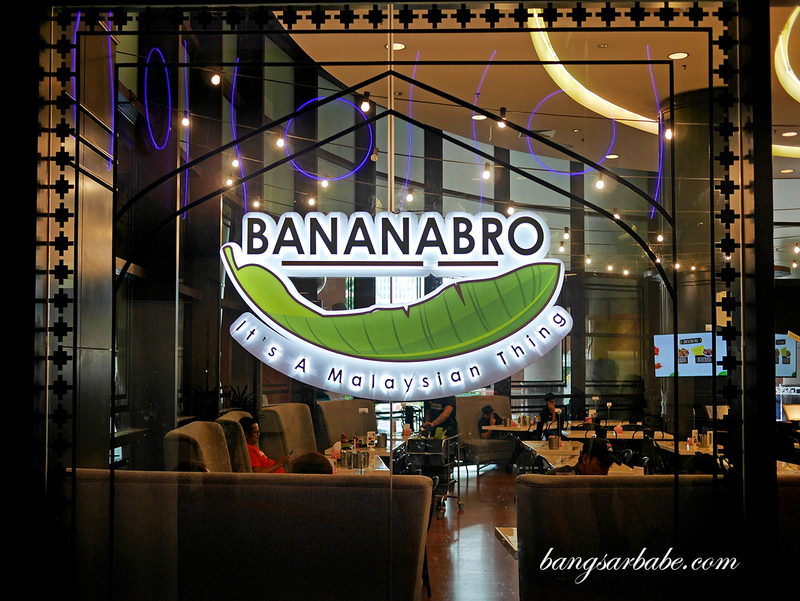 BananaBro in Berjaya Times Square claims to serve authentic banana leaf rice in a modern setup, priding themselves in the use of fresh ingredients and no short-cuts. Jien and I paid them a visit not too long ago with a few friends who work in the mall itself. 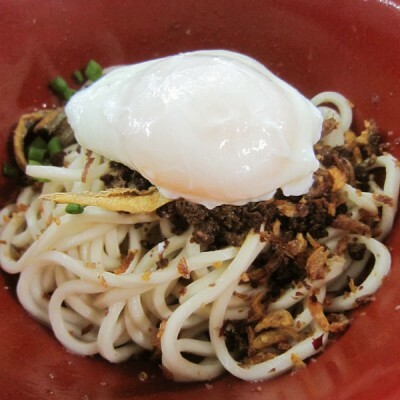 According to them, BananaBro is often packed with tourists and families because of their affordable price point and local appeal. 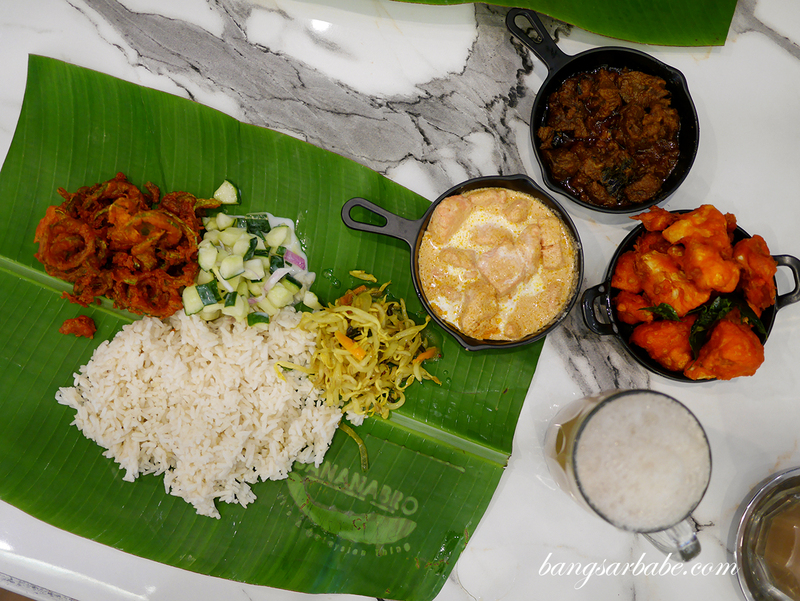 A banana leaf rice set is priced at RM12.90 and comprises a choice of white or parboiled rice, three vegetables, papadam, curries, rasam and yogurt. 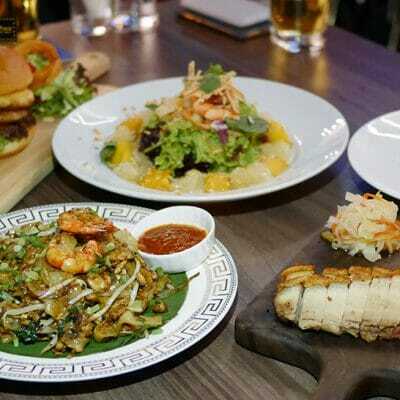 The items are said to be refillable, so if you have a ferocious appetite, you can ask for more without the extra charges. Four curry options are available – dhal, chicken, fish and mung bean. All are fine but none stood out, if you ask me. 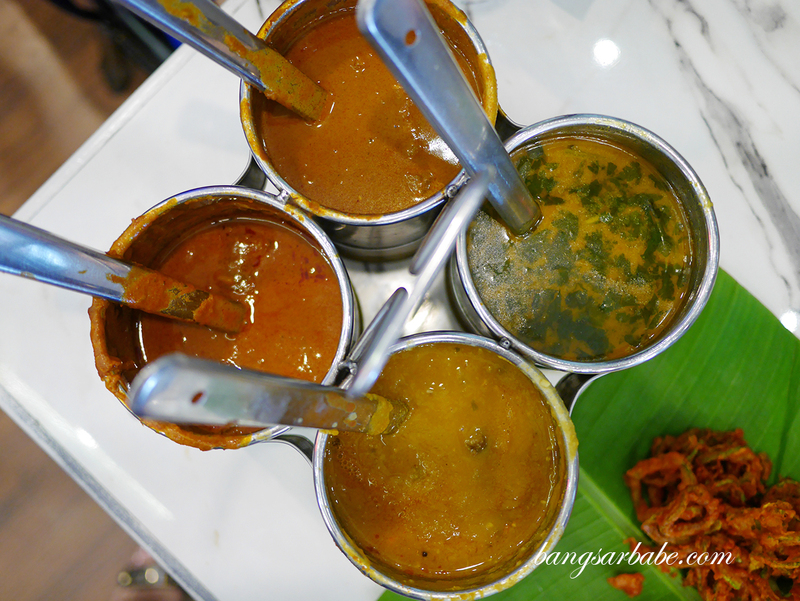 They were spicy and adequately thick, though I feel the curries lack that heady spice aroma and flavour which I like in South Indian cuisine. 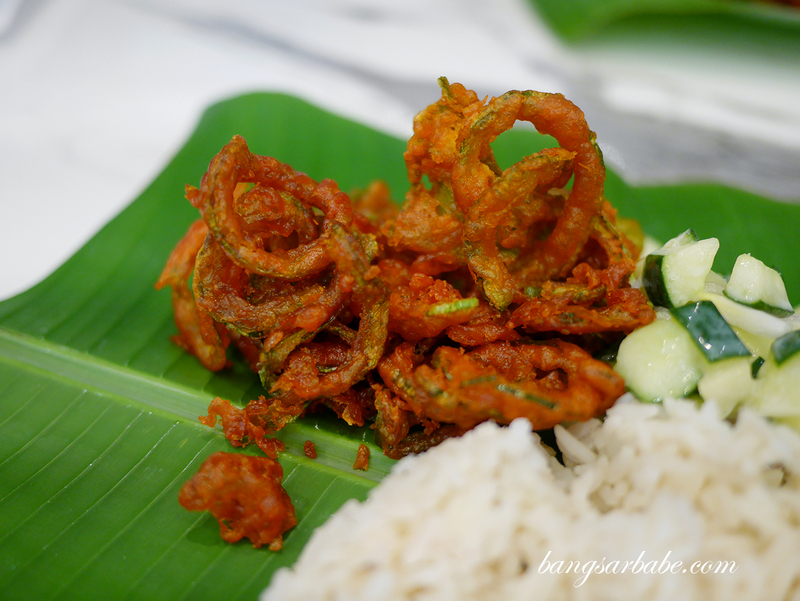 To go with our banana leaf rice, we ordered a portion of Gobi 65 (RM4.50), Butter Chicken (RM7.50) and Mutton Varuval (RM9.90) to share. 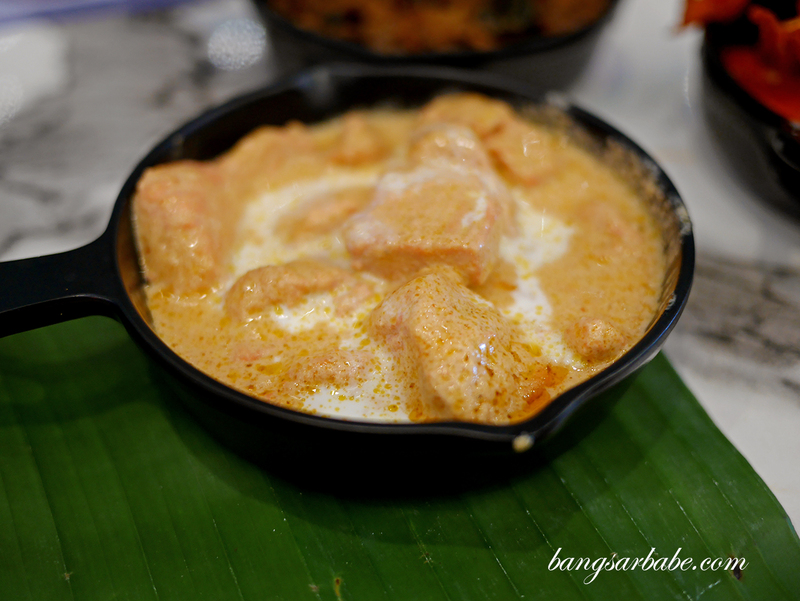 I have to say, I was quite disappointed with the butter chicken as it lacked flavour and depth. This tasted more like chicken in cream sauce, with barely any hint of garam masala, chilli or tomatoes. 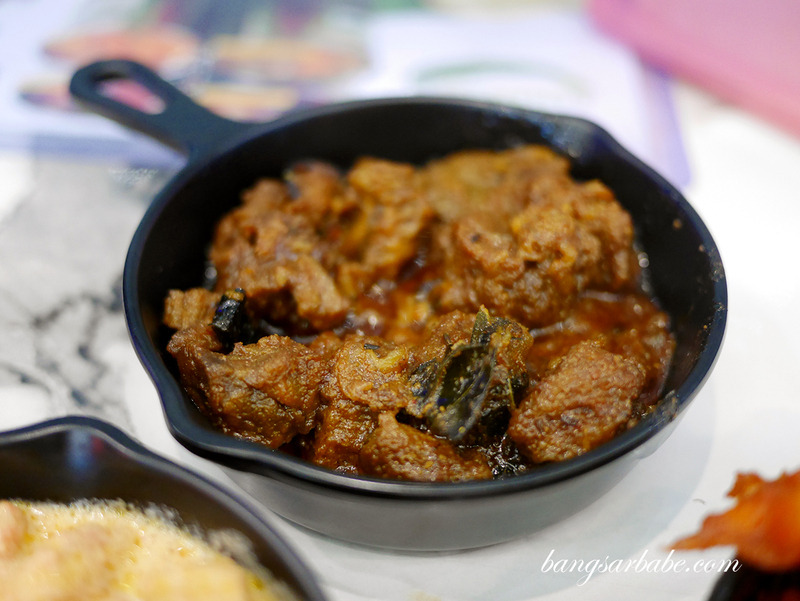 The mutton varuval was better but I didn’t care much for this as it wasn’t as fiery as I liked it to be. 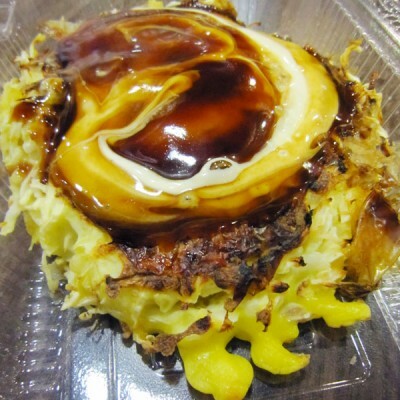 Of the three, the Gobi 65 tasted best – cauliflower dipped in spiced batter and deep fried till crispy. I thought the batter could have been lighter and crisper, for textural contrast. 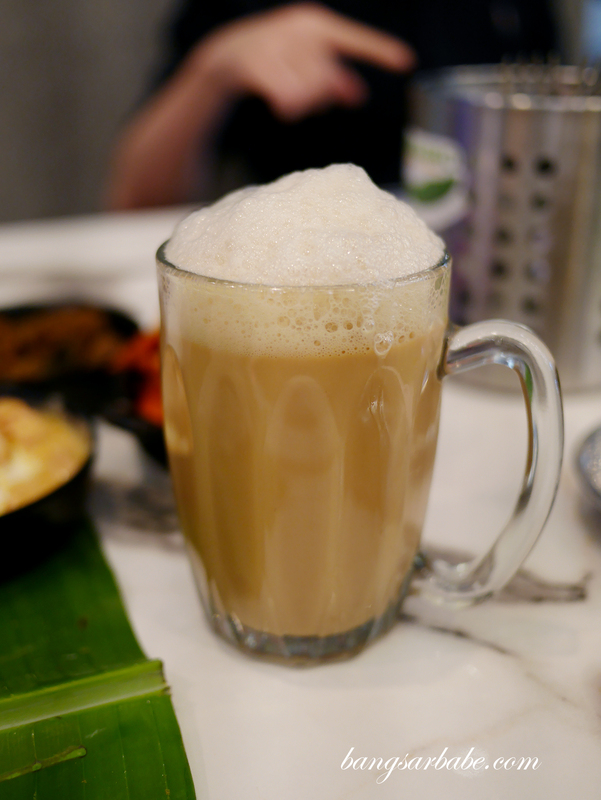 BananaBro’s staff recommended the Teh Tarik Lawa (RM4.90) which is essential iced tea pulled till frothy and light on top. 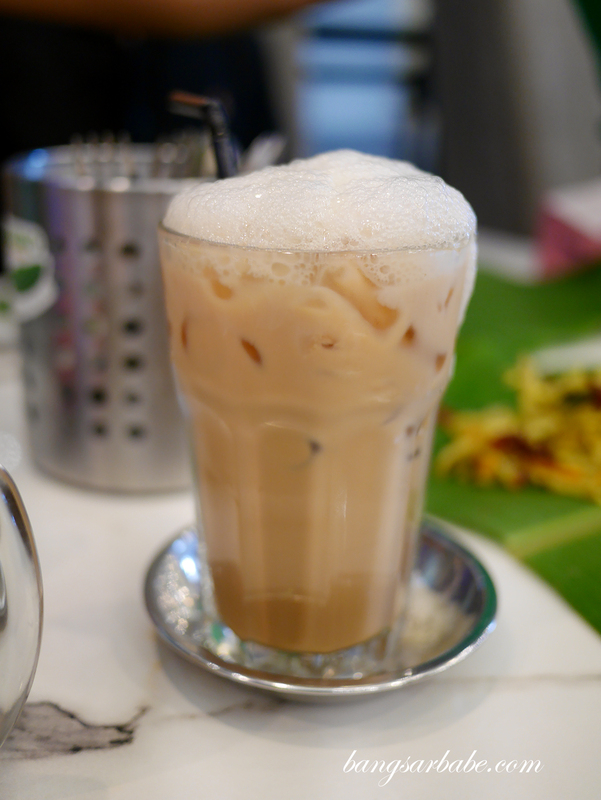 It’s more of a gimmick I reckon – nice on photo but at the end of the day, it’s still teh ais or teh tarik. 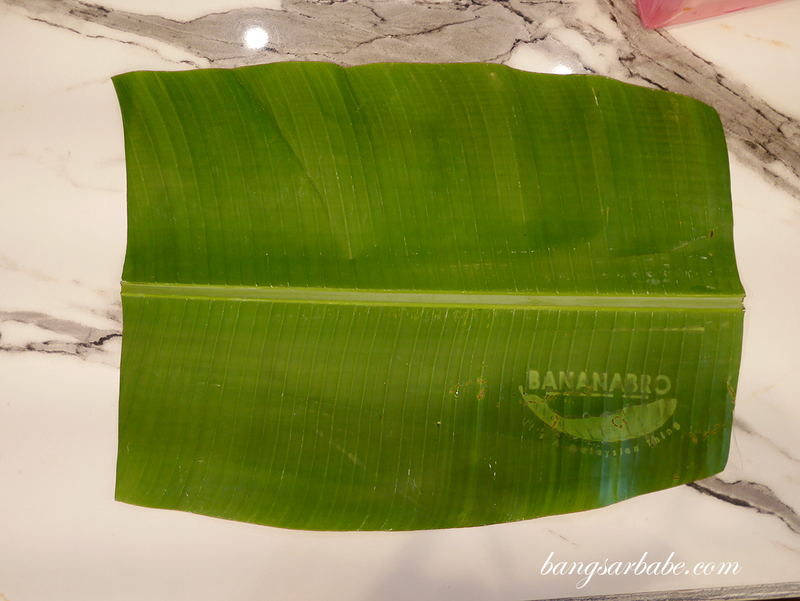 Service is alright and I particularly like how BananaBro brands the banana leaf with their logo. Clever, I have to say. 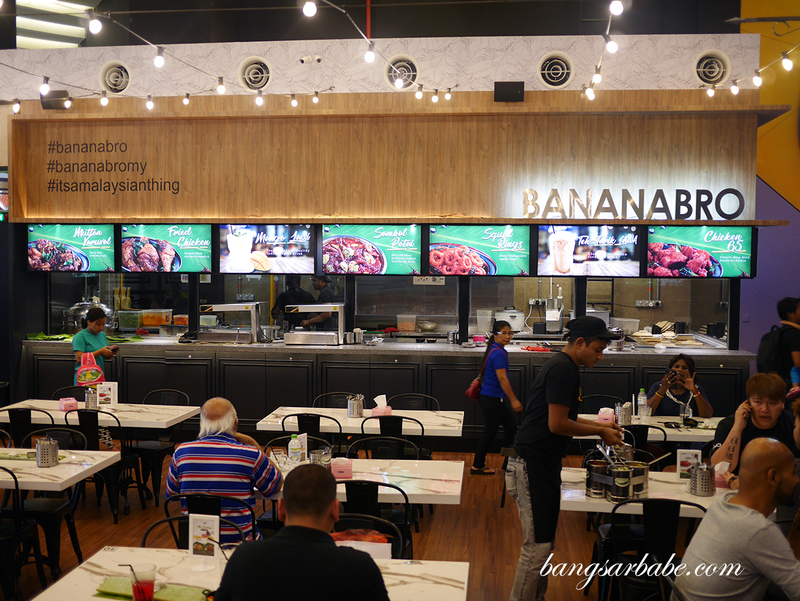 Overall, it’s not great banana leaf rice (not for me at least) but if you’re looking for a relatively clean and spacious place with modern interior, this is an option. 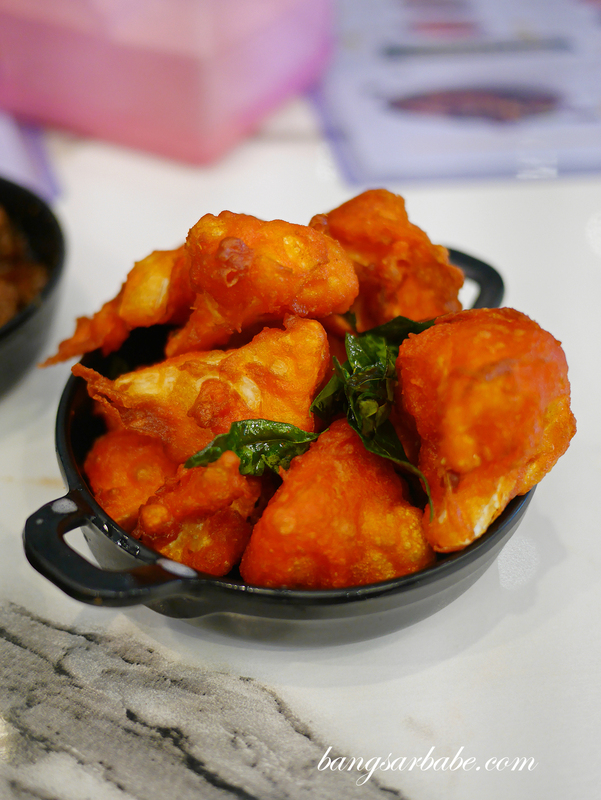 Verdict: Skip the butter chicken and go for fried chicken to play safe.